Following a 3-0 home loss to league leaders PSG, Amiens were beaten by second-placed Lille on the road in their last league match as well. 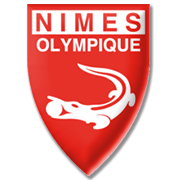 The Unicorns faced a tough fixture list and, to make things even worse for the fans, they take on star-studded Olympique Lyon on Matchday 22. Amiens and Lyon face each other for the second time in four days and we are positive that both teams will go for a win in Sunday’s football match. Les Gones, on the other hand, are eyeing a place in the Champions League and they are likely to stick to their attacking style of play against the relegation-threatened team. Seeing that the hosts head into the match with the lack of confidence, we predict that the visitors are going to emerge triumphant in the Stade Credit Agricole de la Licorne. Thomas Monconduit is a product of Auxerre football academy. 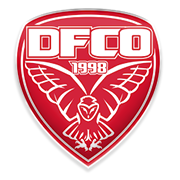 The midfielder made a great progress during his spell with the Stade de l’Abbe-Deschamps outfit and continued playing for the club at senior level. Monconduit scored three goals in 63 appearances for Auxerre II and he played 42 games for the first team from 2012 to 2014. In 2015 he joined Amiens and you should bear in mind that the 178-cm-tall midfielder made 36 appearances for les Licornes in the 2016/2017 Ligue 2 campaign. 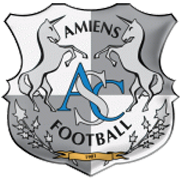 Amiens finished the season in second place in the standings and, as a result, they secured promotion to the French top flight. Thomas Monconduit scored three goals during the season and, no doubt, he played a very important role in Christophe Pelissier’s team in the 2016/2017 season. His main position is central midfield, but he is capable of playing as a defensive midfielder as well. Thomas Monconduit has a contract with Amiens which expires on June 30, 2018 and his preferred foot is right. Louis DENOLLE is the player’s agent.